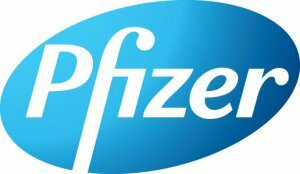 Pfizer, Inc. is a research oriented, global pharmaceutical company. In collaboration with CHDI and the ICM in Paris, Pfizer Neuroscience’s HD team has been working to understand the role of phosphodiesterase 10A (PDE10A) inhibitors in the treatment of HD, and to develop clinical measures of their effectiveness and safety. HD Insights spoke with Pfizer Global Clinical Lead Spyros Papapetropoulos, MD, PhD, and Pfizer Neuroscience HD Project Leader Margaret Zaleska, PhD, about the company’s work with PDE10A inhibitors in HD. HD INSIGHTS: Can you tell us a little bit about Pfizer’s interest in developing new treatments for HD? PAPAPETROPOULOS: HD research is supported across the Pfizer organization, as part of Pfizer’s commitment to orphan indications. We are working with CHDI on many options for HD and scanning the landscape for opportunities at different levels of development. It’s a very exciting time, for the clinical team, the research team, CHDI, and, I hope, the Huntington community. We have assembled an A-team of about 20 folks here, actively engaged in HD programs. ZALESKA: Our pursuit of phosphodiesterase inhibitors is in close collaboration with CHDI. 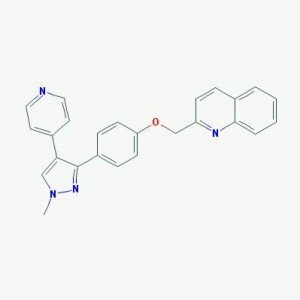 This is a scientifically fulfilling and successful way of approaching this unmet medical need: combining Pfizer’s expertise in medicinal chemistry and neuropharmacology with CHDI’s focused efforts to apply the molecules that we make to HD. HD INSIGHTS: Dr. Zaleska, what is PDE10A? ZALESKA: PDE10A is a phosphodiesterase that catabolizes cyclic nucleotides. 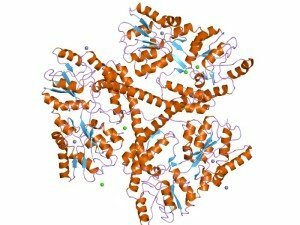 It is a dual substrate phosphodiesterase, meaning that the enzyme’s substrates are both cyclic GMP (cGMP) and cyclic AMP (cAMP). The enzyme is important in cyclic nucleotide signaling cascades, which are involved in the functioning of many neuronal pathways. PDE10A is found almost exclusively in the medium spiny neurons of the striatum, the primary area of the brain affected in HD. Aggregates of mutated huntingtin have been found to impair cAMP signaling and cAMP responsive-element binding protein (CREB) mediated transcription of genes responsible for neurotransmitter synthesis, release and signaling pathways, as well as the production of brain derived neurotrophic factor (BDNF). The resulting degeneration affects many other areas of the brain, causing the behavioral, cognitive and motor impairments that are characteristic of HD. HD INSIGHTS: You say that PDE10A levels are reduced in individuals with HD. How do you measure that? ZALESKA: We measure that using imaging of the PDE10A selective PET ligand binding. We studied about ten individuals with different stages of HD in the pilot study. We found that their enzyme levels were between 50 and 55 percent of levels in controls. HD INSIGHTS: PDE10A levels are reduced in HD patients, so why would an enzyme inhibitor be beneficial? ZALESKA: PDE10A levels are most likely diminished by a compensatory biological response, an attempt to preserve cyclic nucleotide signaling at higher levels. Because PDE10A destroys cyclic nucleotide signaling, it diminishes with the disease. We know from animal models of HD that by inhibiting PDE10A, we can increase the level of cGMP and cAMP in the basal ganglia. Inhibition of PDE10A has been found to modulate striatal signaling in neuroprotective pathways, to decrease neurodegenerative changes in the striatum of animal models of HD, and to restore cAMP-dependent CREB signaling, which results in improved cortico-striatal communication. HD INSIGHTS: You said that inhibition of PDE10A has a stimulating effect on the medium spiny neurons in the basal ganglia. Do PDE10A inhibitors prevent neuronal death of spiny neurons? ZALESKA: We do not have evidence of that. But, we have evidence that after dosing a transgenic mouse model of HD with PDE10A over four months, electrophysiological responses from medium spiny neurons following cortical stimulation are very significantly improved, compared with placebo-treated transgenic mice. We have evidence that the beneficial effects last beyond the presence of the drug in brain tissue, but we are very cautious about interpreting that as evidence of disease modification. At this moment we are focusing on potential treatment of symptoms, hoping that the improved cortico-striatal function will translate to clinically relevant effects in HD patients. HD INSIGHTS: Dr. Papapetropoulos, what are the plans for human clinical trials of phosphodiesterase inhibitors? PAPAPETROPOULOS: From a clinical perspective, we have multiple goals before we can safely move to a larger study. Our first goal is to answer the major question that Dr. Zaleska alluded to: Is PDE10A adequately expressed in HD? If the answer is yes, what areas are affected, and what are the clinical factors associated with different enzyme levels in HD? These are key questions in developing the right therapeutic approach for HD. The next question is: what are the treatment implications at the human brain circuit level? We have encouraging electrophysiological data that supports improved cortico-striatal connectivity, generated through our collaboration with CHDI. We want to replicate and sufficiently translate this dataset in a human cohort. We have established a collaborative study with the ICM at the Hôpital Salpétière in France, where we plan to dose early HD patients with our PDE10A inhibitor, and then scan these patients to detect PDE10A levels. This is a double blind, randomized, placebo controlled study with a sequential cohort design. It will be conducted at ICM in Paris, and we anticipate beginning to screen participants in the fall of 2013. We will use the monetary incentive delay task in an fMRI setting to look at potential differences between placebo and active drugs in brain activation. Abnormal activation in certain brain regions is known to occur starting in pre-symptomatic stages of HD with this task. This is work that was published by Enzi et al in 2012.5 We will also collect some additional endpoints. Although this study is not designed to answer any motor, behavioral, or cognitive questions, we have included a variety of exploratory endpoints that range from new innovative, objective measures of neuromotor function and tests of striatal activity to traditional endpoints, such as the UHDRS, apathy scales, both for safety purposes and also in the event that we can pick up signals of efficacy. PAPAPETROPOULOS: By combining ICM’s expertise with our medicinal chemistry and clinical experience, we are hoping to directly translate the circuitry level data acquired in our preclinical trials into HD patients. We are also looking at safety, because this will be the first time that our PDE10A inhibitor, or any PDE10A inhibitor, will be administered to HD patients. Details about the study are listed at www.clinicaltrials.gov 6. The design of the study was presented at the recent CHDI meeting in Venice, and there is a lot of enthusiasm at Pfizer for this study. HD INSIGHTS: It sounds like you’re doing lots of novel things in this trial. The first is that you’re investigating a novel class of compounds for HD. And the second is that you’re including some novel techniques to measure connectivity, including functional MRI. I don’t believe fMRI has been used before as a technique in HD clinical trials. PAPAPETROPOULOS: That is correct. This is our attempt to humanize clinical research and look at circuits rather than symptoms. We believe that circuits are more preserved than behaviors, so they are easier to translate. And when we see congruency between human clinical patients and animal models, our confidence increases. The question remains whether a signal in the circuit will translate into a clinical patient benefit, but that is still to be addressed in future trials. HD INSIGHTS: Dr. Zaleska, Dr. Papapetropoulos, thank you for your contributions to HD research and for taking the time to share them with HD INSIGHTS. 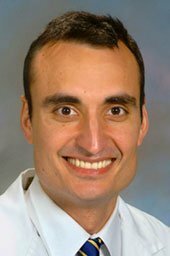 Spyros Papapetropoulos, MD, PhD, is a neurologist and movement disorder specialist trained at the National Hospital for Neurology and Neurosurgery, Queen Square, London UK, who leads Pfizer’s HD clinical program. 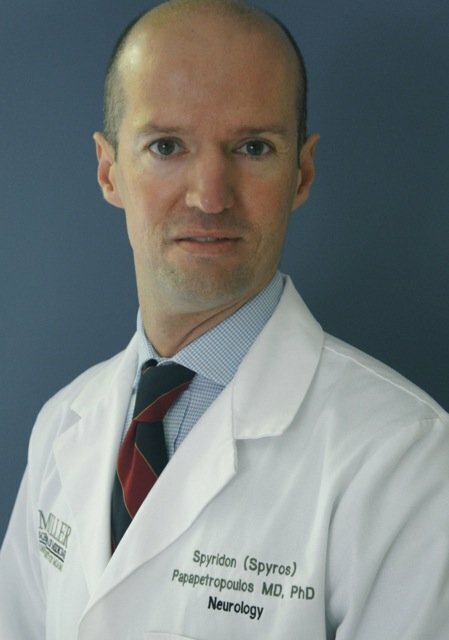 He holds an academic appointment with the University of Miami Miller School of Medicine. He has spent his entire academic career studying movement disorders, and since transitioning to industry, he has focused on migraine and pain, neurodegeneration, and neurorehabilitation. When Dr. Papapetropoulos is not working to develop drugs for HD, he focuses on medications for Parkinson disease. He is also an avid tennis player. 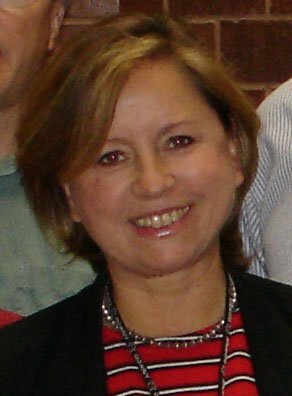 Margaret Zaleska, PhD is a neuroscientist who leads the PDE10 inhibitor for HD research project in the Pfizer Neuroscience division. She earned her PhD in Biochemistry at the Polish Academy of Science in Warsaw, Poland, and then completed post-doctoral programs focused on neuroscience research at SUNY in the Department of Pharmacology and Experimental Therapeutics, and at the Oklahoma Medical Research Foundation. She was a member of the research faculty of the Perelman School of Medicine at the University of Pennsylvania, then joined Wyeth Research’s Neuroscience Division in Princeton, NJ in 1993. When Pfizer acquired Wyeth in 2009, Dr. Zaleska became a member of the Pfizer Neuroscience team. In her spare time, Dr. Zaleska enjoys exploring Pfizer Neuroscience’s new hometown of Cambridge, Massachusetts. 1 Kleiman RJ, Kimmel LH, Bove SE, et al. Chronic suppression of phosphodiesterase 10A alters striatal expression of genes responsible for neurotransmitter synthesis, neurotransmission, and signaling pathways implicated in Huntington’s disease. J Pharmacol Exp Ther. 2011 Jan; 336(1):64-76. 3 Giampà C, Laurenti D, Anzilotti S, et al. Inhibition of the striatal specific phosphodiesterase PDE10A ameliorates striatal and cortical pathology in R6/2 mouse model of Huntington’s disease. PLoS One. 2010 Oct 15;5(10):e13417. 4 Strick CA, James LC, Fox CB, et al. Alterations in gene regulation following inhibition of the striatum-enriched phosphodiesterase, PDE10A. Neuropharmacol. 2010 Feb; 58(2): 444-51. 5 Enzi B, Edel MA, Lissek S, et al. Altered ventral striatal activation during reward and punishment processing in premanifest Huntington’s disease: a functional magnetic resonance study. Exp Neurol. 2012 May;235(1):256-64. Rodrigo Osorio, a native of Chile, is dedicated to advancing HD research around the world. He is the founder of the Agrupación Chilena de Huntington (Huntington Group of Chile), which has established a comprehensive care “Hogar” (home) for patients with HD and other neurodegenerative disorders. 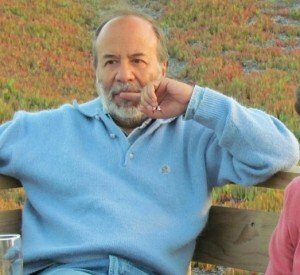 He is also the President of the Red Latino-Americana de Huntington (Latin-American Huntington Network), and sits on the HD Insights Editorial Board. This is how Rodrigo Osorio, a Chilean banker and businessman, describes his reaction on learning that his wife had HD. In 2008, Rodrigo and his family, just like thousands of families worldwide, began a difficult journey on learning that his family was affected by HD. I had the privilege of discussing Rodrigo’s experiences with him, a journey that has taken him from adversity to acceptance to action. As coping with the difficulties and changes brought on by HD requires the participation of all members of the family, family unity becomes extremely important. HOBBIES: Cycling, relaxing and enjoying Cape Cod, particularly the smoked salmon! MAREK: The IND is a research institute with about 80 staff in New Haven, Connecticut. Our focus for the last 12 years has been on evaluating neurodegenerative disorders such as HD, Parkinson disease and Alzheimer disease. In particular, we are developing imaging biomarkers to understand, diagnose, and monitor the progression of these diseases. HD INSIGHTS: Why don’t we have such markers for HD? MAREK: In a way, HD is ideal, because we have a genetic marker that tells us who will develop the disease. Until recently, however, opportunities for identifying a specific PET ligand were limited. One thing that has changed over the past five to ten years is that we now have a number of PET tracers that target different neurochemicals in the striatum, an important site of the pathology of HD. PET tracers are radioactively labeled compounds which are injected into the bloodstream and bind to a target brain chemical. We can then assess the activity of the target enzyme in different brain regions using a PET camera and a computer analysis. There are a number of potential targets that might help us to identify the neurodegenerative process in individuals with HD at the time of their diagnosis or even earlier, and to track that neurodegenerative process over time. HD INSIGHTS: Which of these targets are most common? MAREK: One of the most promising is adenosine 2A, because the adenosine receptor resides on the medium spiny neurons in the striatum, and we know those neurons degenerate in HD. Similarly, the metabotropic glutamate receptor, the mGluR5 receptor, has been another important target. 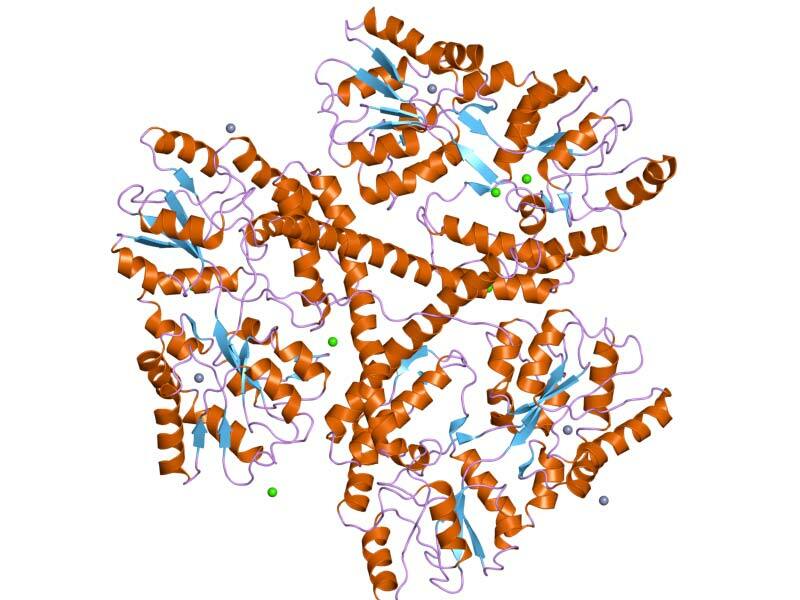 Most recently we have looked at another target, the phosphodiesterase 10A (PDE10A) receptor. It’s possible to effectively target these phosphodiesterases using PET tracers. There is data to suggest this, too, may be a marker that changes very early in the course of HD. HD INSIGHTS: At the most recent CHDI meeting, you presented results from your PDE10A imaging. Can you tell us a little bit about what you did and what you found? MAREK: Our group has developed a PDE10A PET tracer, labeled with fluorine-18, that targets PDE10A with high specificity and high affinity. In human studies with our PDE10A tracer we see that there is a very specific and very robust signal in the striatal region. This localization of PDE10A in the brain is consistent with animal studies. In these studies, we began by validating the radio tracer by testing it in healthy subjects to ensure that the activity we detect in the brain does in fact reflect PDE10A activity. We also assessed safety, because there is a radiation load with a PET tracer. We wanted to make sure that we can inject this safely and repeatedly, because we would like to use this tracer to monitor changes over time. 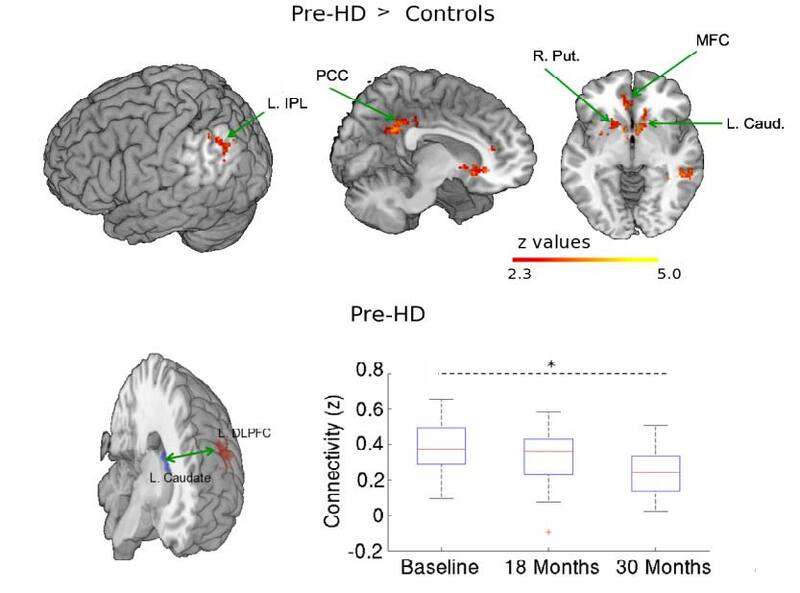 We then compared the activity that we detected in the striatum in healthy subjects to individuals with HD, and there was a striking reduction in the HD individuals. In individuals with relatively mild HD symptoms, there was a 60 to 70 percent reduction in their PDE10A activity compared to healthy subjects, consistent with the mouse model of HD. We also tested pre-symptomatic HD gene – positive individuals, and we could detect smaller but clear changes in PDE10A activity. The PDE10A PET imaging that we’ve done so far shows a very strong correlation between the relative loss of PDE10A and clinical measures of HD, including the UHDRS and the burden of pathology score that has been developed for monitoring HD. HD INSIGHTS: So the next step is to see how PDE10A levels respond to a PDE10A inhibitor? MAREK: Right. It would be interesting to evaluate whether PDE10A inhibition might modify the reductions we see in these subjects. HD INSIGHTS: What are your other hopes for HD imaging? MAREK: We hope to initiate a study soon, in which we evaluate PDE10A and additional targets in the same subject: in particular, the cannabinoid-1 receptor and the adenosine 2A receptor. We will try to track a number of measures of HD, to get a sense of the temporal pattern of how this type of pathology occurs. HD INSIGHTS: The use of PET ligands in PET imaging is a relatively new field that you’ve helped pioneer. How did you first become interested in this area of research? MAREK: PET imaging is an amazing opportunity to combine my interest in neurology with my interest in brain chemistry. It’s also been fascinating to explore, in real diseases and in real people, how the chemistry of the brain works. This interest was sparked by my interaction with Paul Hofer, who was a nuclear medicine physician at Yale University. 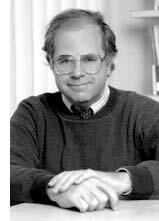 He had Parkinson disease himself, and he was instrumental in pointing out the research possibilities of PET imaging. On a personal level, it was very gratifying to work on a project that was so relevant to somebody who was also a mentor. Cepeda and colleagues performed an electrophysiological study of the striatal microcircuit in HD mouse models to examine the cause of increased GABA synaptic activity in medium-sized spiny neurons1. Investigation of GABAergic microcircuits revealed that feedforward and feedback inhibition to medium-sized spiny neurons may be the cause of increased GABA activity in these models of HD. Ben M’Barek and collea gues described huntingtin (Htt) involvement in anxiety/ depression-like behaviors based on specific cyclin-dependent kinase 5 (Cdk5) phosphorylation sites on Htt at positions serine (S) 1181 and 12012. Investigators used mouse models with point-directed mutagenesis to demonstrate that Htt phosphorylated at S1181/1201 has a role in neurogenesis and affects anxiety and depression. The mechanism is likely to be increased axonal trafficking of brain-derived neurotrophic factor. Borgonovo and colleagues studied Htt involvement in vesicular transport.3 Htt is involved in clathrin-mediated endocytosis (CME), which is required for the internalization of NMDA and AMPA receptors. Adaptor protein complex-2 (AP-2) is a protein involved in clathrin-coated vesicle biogenesis. The investigators found that AP-2 mislocalizes from membranes to cytosol in the brains of HD mice and cultured striatal cell lines. They also observed an overall decrease in CME with a transferrin uptake assay. In the genes. . .
Biomarker and age at onset studies show patient-to-patient variation that is likely to be due to environmental and genetic modifying factors. Kloster and colleagues investigated a possible link between regulation of the cannabinoid receptor 1 (CNR1) gene and age at onset.4 CNR1 encodes type 1 cannabinoid receptors, which are down-regulated in the basal ganglia of individuals with HD and are thought to play a role in HD pathogenesis. In a study of 473 individuals with HD, the investigators found a significant association between age at onset and the length of ATT repeat polymorphisms in CNR1. They further define a single-nucleotide polymorphism (SNP) in the 3’ UTR, which may affect miRNA binding, is also associated with age at onset. Berger and colleagues studied haplotypes associated with the gene OGG1, which encodes for a DNA repair enzyme potentially responsible for somatic expansion of CAG repeats. The investigators also studied the gene XPC, which encodes for a protein involved in cell cycle control, redox homeostasis, and the removal of oxidative DNA damage.5 They found two OGG1/XPC haplotypes were associated with age at onset independent of CAG repeat length, which may be another genetic modifier for HD. In clinical trials. . .
Extensive efforts have gone into defining the natural history of HD and identifying biomarkers for HD to inform the design of clinical trials and define trial outcomes. Tabrizi and colleagues completed a 36-month longitudinal study (TRACK-HD) to assess clinical and biological markers of HD in individuals who were premanifest for HD, and individuals with early manifest HD.7 The results defined a range of motor, psychiatric, cognitive and imaging-based measures that can be used to evaluate and predict disease progression in individuals at varying stages of premanifest and manifest HD. Inter-tap interval testing and gray matter volume change were especially sensitive indicators and may have prognostic value. 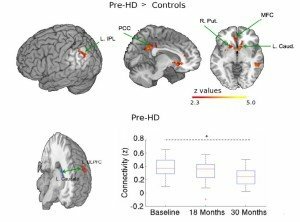 Hua and colleagues recently completed a small pilot study investigating cerebral blood volume as a potential quantitative biomarker in individuals with prodromal HD.8 Functional brain changes in HD that lead to neuronal dysfunction may be preceded by a metabolic or neurovascular abnormality. Using a non-invasive MRI technique to observe arteriolar cerebral blood volume in cortical gray matter, investigators observed an increase in arteriolar blood volume in the frontal cortex among individuals with prodromal HD compared to age-matched controls. 1 Cepeda C, Galvan L, Holley SM, et al. Multiple sources of striatal inhibition are differentially affected in Huntington’s disease mouse models. J Neurosci. 2013; 33:7393-406. 2 Ben M’Barek K, Pla P, Orvoen S, et al. Huntingtin mediates anxiety/ depression-related behaviors and hippocampal neurogenesis. J Neurosci. 2013; 33: 8608-20. 3 Borgonovo JE, Troncoso M, Lucas JJ, Sosa MA. Mutant huntingtin affects endocytosis in striatal cells by altering the binding of AP-2 to membranes. Exp neurol. 2013 ;241:75-83. 4 Kloster E, Saft C, Epplen JT, Arning L. CNR1 variation is associated with the age at onset in Huntington disease. Eur J Med Genet. 2013;56(8):416-9. 5 Berger F, Vaslin L, Belin L, et al. The impact of single-nucleotide polymorphisms (SNPs) in OGG1 and XPC on the age at onset of Huntington disease. Mutat Res. 2013;755(2):115-9. 6 Ramos EM, Latourelle JC, Gillis T, et al. Candidate glutamatergic and dopaminergic pathway gene variants do not influence Huntington’s disease motor onset. Neurogenetics. 2013. 7 Tabrizi SJ, Scahill RI, Owen G, et al. Predictors of phenotypic progression and disease onset in premanifest and early-stage Huntington’s disease in the TRACK-HD study: analysis of 36-month observational data. Lancet Neurol. 2013;12:637-49. 8 Hua J, Unschuld PG, Margolis RL, et al. Elevated arteriolar cerebral blood volume in prodromal Huntington’s disease. Mov Disord. 2013. Bem-vindo to the latest issue of HD Insights timed for release at the World Congress on Huntington’s Disease in Rio de Janeiro! We thank Dr. Francisco Cardoso and the organizers of the World Congress for the opportunity to provide its participants a copy of our most recent issue. HD Insights regularly brings you HD research from around the world. 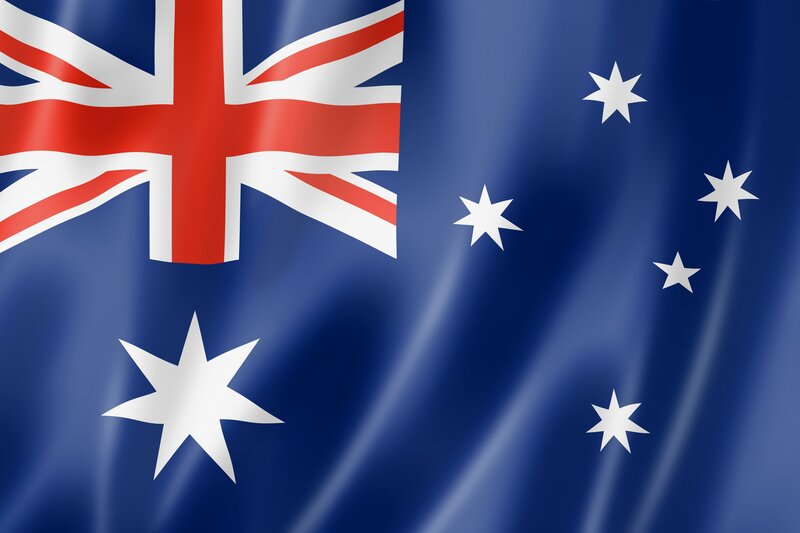 This issue highlights research from Australia provided by Dr. Izelle Labuschagne, a round-up of the latest HD research from Dr. Lise Munsie, and a clinical trials status report by Ms. Paige Nichols. In this issue we also highlight the personal side of HD in a moving interview with Mr. Rodrigo Osorio, whom we are fortunate to have as a member of our Editorial Board and who is creating a “home” for many people affected by HD in Latin America. Ms. Haley Richards, a very talented high school student in the United States conducted this interview and was introduced to the disease through her mother, who helped investigate a potential new treatment for HD. Finally, we bring you different perspectives from academia and industry on the development of a promising class of therapeutics for HD – phosphodiesterase 10A inhibitors. HD Insights is the product of the efforts of many talented and dedicated people. In this issue, we thank Ms. Kristin Darwin for her many contributions organizing and assembling great issues as Deputy Editor over the past year. She, her considerable talents, and wonderful empathy are beginning a new chapter as a medical student at Johns Hopkins. To help fill her role, we welcome Ms. Meredith Achey who has ably helped Kristin in this transition. HD Insights is always looking for new contributors, topics to cover, and additional sponsors. If you are interested or have ideas that would be of interest to nearly 1500 HD researchers and clinicians around the world, please email (editor@hdinsights.org ) or contact me anytime. Finally, subscription to HD Insights is always free by simply emailing subscribe@hdinsights.org . DR. DORSEY RECEIVES GRANT SUPPORT FROM LUNDBECK AND PRANA BIOTECHNOLOGY AND CONSULTS FOR AMGEN, LUNDBECK, AND MEDTRONIC.